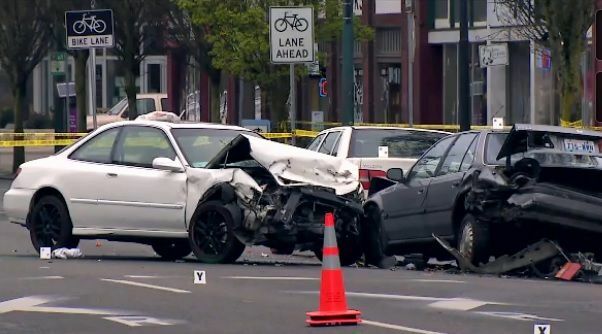 We have long examined the various factors that may or may not increase someone’s risk of being involved in a car accident in Washington. From days of the year to weather patterns in the region, there is a multitude of aspects that influence a person’s risk of experiencing a dangerous car wreck. Data from a recently conducted study shows that there may be a legitimate connection between a person’s overall health and how they could potentially be impacted by a car accident. Canadian researchers at the University of Laval showed that drivers who are morbidly obese – someone at least twice the recommended weight for their height and age – are at significantly higher risk of a car accident due to weight-related issues. After analyzing the results of 75 previously published medical studies relating obesity and traffic accidents, the researchers concluded that because obesity is directly tied to sleep apnea and other conditions involving fatigue, obese drivers are less capable of avoiding car accidents and benefiting from vehicle safety features. More than 800,000 U.S. drivers with sleep apnea were involved in crashes in the year 2000, with 1,400 of those drivers being killed as a result. Also, the researchers found data that showed the frequency of seat belt use declines with increases in Body Mass Index (BMI). “For all those individuals that have a body structure different than [the typical ideal weight] their interactions with the safety features, such as the seat belts and airbags, may not occur as intended,” reads a statement from the research team. According to the group of researchers, obesity is emerging as an increasingly significant risk factor in car accidents. They added that obesity should be considered equally risky to the issues of aging drivers and distracted driving. The study did more than just uncover obese drivers’ increased risk of being involved in a car accident, however. According to the researchers, the analysis indicated that obesity increases a driver’s risk of sustaining more serious injuries from an auto accident, even death. “Poor car-to-person fit is thought to be the leading cause of the increased risk of injury and fatality in [car accidents] for persons who are obese or overweight versus persons who are normal weight,” the team added. Specifically, the researchers found that data from a 2004 study of University of Southern California medical patients showed obese people were five times more likely to die from injuries sustained in a car accident than individuals of normal weight. In addition, data showed that men with a BMI greater than 30 were more likely to experience serious injuries to the face, head, chest and spine than those with a BMI under 30.